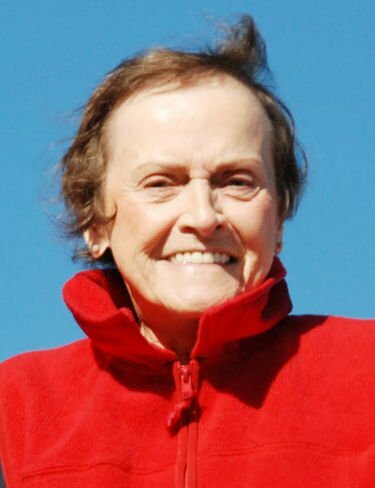 Diane C. Westebbe MENDON — Diane C. Westebbe, 80, of Mendon, passed away peacefully in Cambridge, Massachusetts, on April 1, 2019, surrounded by loved ones. Diane was full of good humor, wisdom, insight and spark throughout her life, and is greatly missed. She adored her friends, family, fast cars, the Red Sox and chocolate. For over 20 years, she broke new ground in her struggle through cancer and recovery. Diane perfected the art of embracing every day as a gift. She is a hero to many. She was born on Oct. 1, 1938, in Manchester-by-the-Sea, Massachusetts, to William and Winifred Crane. After graduating from Story High School, she completed a nursing degree at the Beverly Hospital School of Nursing in Beverly. After marrying John Richwagen, she moved to Rutland in 1968, where they raised their daughter. Diane worked as a nurse at both the Rutland Visiting Nurse Association and the Killington Ski Area. In 1988, she married Donald M. Westebbe, whom she fondly called “The Duck.” They were quite a pair and thoroughly enjoyed their lives together up until his passing in 2010. Diane was an active member of the Good Shepherd Lutheran Church in Rutland, as well as of the Women of the Evangelical Lutheran Church in America (WELCA). She served on the board of the Regional Ambulance Association and as a town service officer in Mendon. Diane is survived by her daughter, Johanna Richwagen-Cockburn, son-in-law Iain and grandson Max, of Cambridge, Massachusetts; her stepson, Jonathan Westebbe, daughter-in-law Marie, of Center Rutland, and her grandchildren Joshua, Samantha and Jennifer; her stepson, David Westebbe and grandchildren Skyler and Leo, of Newton, Massachusetts; her stepdaughter, Sharon McCurdy, son-in-law Richard and her grandchildren Tony and Alex McKinstry and Stacey McCurdy, of Huntingtown, Maryland; her brother, David Crane and sister-in-law Velna, of Nashua, New Hampshire; her sister, Phyllis McEachern, and four half-brothers William, Todd, Chris and Brett Crane, of Manchester-by-the-Sea, Massachusetts; and her former husband, John Richwagen, of Naples, Florida. A memorial service is planned for Saturday, May 18, 2019, at 12 p.m. at the Good Shepherd Lutheran Church in Rutland. A reception will follow. Memorial contributions may be made to Norris Cotton Cancer Center, Good Shepherd Lutheran Church, or to a charity of one's choice, in care of Clifford Funeral Home, 2 Washington St., Rutland, VT 05701.